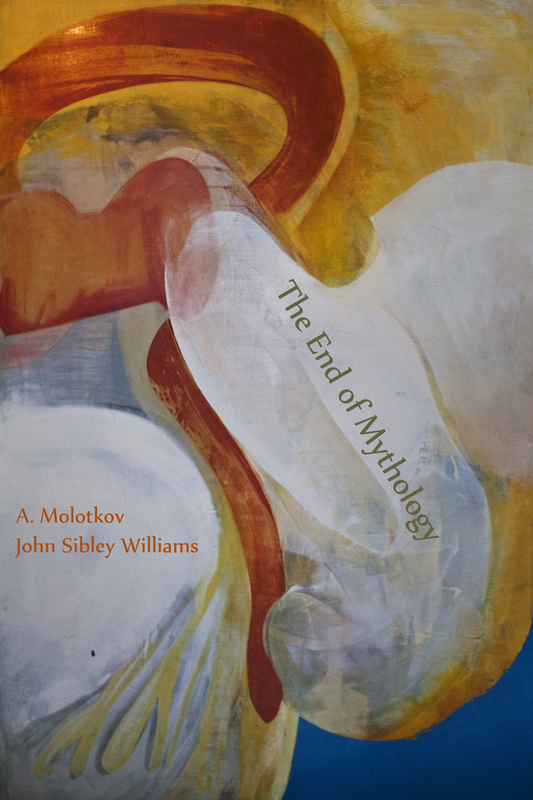 Virgogray Press is proud to present the latest collection from poets A. Molotkov and John Sibley Williams in a beautiful duet of verse, The End of Mythology. In the End of Mythology, A. Molotkov and John Sibley Williams have come together to create a new collection that is a responsive, almost fluid stream of poetry. The poetry of this collection has subtle and slightly haunting overtones in some areas, and radiant beams of light in others. Poets, A. Molotkov and John Sibley Williams have orchestrated a refined and tender, yet stunning symphony conveyed through minimalistic stanzas that draw the senses and the conscious to the fore. A seamless bifurcation of two great underground poets, The End of Mythology is a graceful masterpiece worthy to all poetry enthusiasts of our time. Poems in this book have appeared previously in publications such as, Calliope Nerve, Four and Twenty, Gobbet Magazine, IMPROV 2012 Anthology, M Review, Ofi Press, Small Doggies, Toe Good Poetry, and The Tower Journal.